Wildlife advocates and environmental organizations finally had something to cheer about in Norway on Tuesday, after government minister Vidar Helgesen blocked moves to kill off two-thirds of the country’s fledgling wolf population. Helgesen overturned a decision allowing the major wolf hunt, which had sparked criticism around the world. She’s otherwise been mostly at odds with the government in which her own sister, Siv Jensen of the Progress Party, serves as finance minister. The government has also been under strong criticism for everything from allowing more oil and gas exporation and production in the Arctic, to dumping mine tailings in local fjords and allowing wolf hunts in the past. The one turned down on Tuesday would have been the biggest in Norway for more than 100 years, according to WWF. Now four wolf packs in Letjenna, Slettås, Kynna and Osdalen will be spared. Local wildlife authorities in Oslo, Akershus, Østfold and Hedmark counties had earlier gone along with demands for the hunt that came mostly from ranchers, who feared losses for their sheep that graze freely. They’d authorized shooting up to 47 of Norway’s wolves, 32 of which were tied to the four established packs. The Slettås, Kynna and Letjenna packs are located within zones set up to allow wolves while Osdalen was outside the zones. The hunt met massive protests and was appealed to Helgesen’s state ministry reponsible for climate and environmental issues. He announced on Tuesday that legal experts within the justice ministry had determined there were no legal grounds for licensed hunts of the four packs, either in the state laws calling for wildlife diversity or in the Bern Convention. The packs in question were not found to have done or threaten enough damage to justify a hunt. Licensed hunting will thus be limited to 15 individual wolves that are outside the wolf management zone. WWF noted that six of them had already been shot. While WWF and other environmentalists were cheering, the leader of the Center Party that represents farmers’ and rural interests was furious. “This is just incredible,” claimed Trygve Slagsvold Vedum, a farmer himself in Hedmark County. 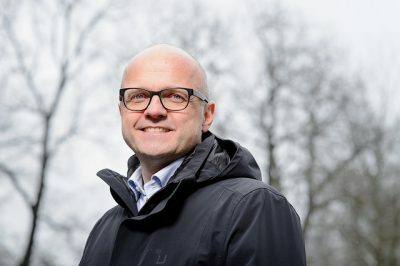 He pointed to parliamentary approval for controlling Norway’s wolf population and called Helgesen’s decision both “arrogant” and out of touch with the reality faced by people living in Hedmark. “There’s a huge problem with wolves,” Vedum claimed, even though Norway’s wolf population is small compared to other countries. Vedum vowed that his small party would do all it could to reverse Helgesen’s decision, even though ministerial decisions such as this one can’t be appealed. Jensen of WWF said she mostly felt “a huge sense of relief.” WWF alone had collected more than 60,000 signatures from people opposed to the wolf hunt and she insisted it is still “very rare” to experience wolves at close range in Norway. “The fact that these (32) wolves will be allowed to live makes me very happy,” Jensen said.